Investigations by NSK´s expert engineering team attributed the failures to the ingress of flour particulates and set-screw loosening (shaft creep) due to vibration. A recommendation was subsequently made to replace the tortilla wrap manufacturer's standard pillow block units with Self-Lube Triple-Lip Sealed Units and eccentric locking collars from NSK. 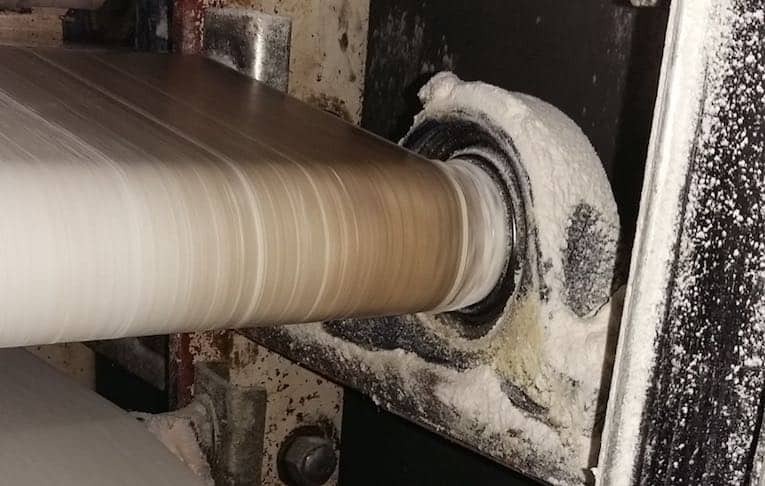 The dough prove at the tortilla wrap manufacturing plant has 42 rollers in total, which prior to the NSK recommendation were each supported by two pillow-block bearing units with a single lip seal and set screw locking arrangement. Rotation speed is around 120-rpm. A belt is wrapped around the rollers to convey the tortilla wraps and retain them for long enough to prove. The tortilla wraps travel from one end of the dough prove, flip over on to the belt below, and travel in the other direction. This sequence is repeated until they enter the oven for baking. Dough-prove conveyors operate in harsh conditions where they are exposed to flour particulates and metallic debris from chain and sprocket wear (a number of rollers on dough-prove conveyors are typically driven by sprockets and chain). For the tortilla wrap manufacturer, this operating environment meant that two mounted bearing units and one 35mm diameter shaft required replacement approximately every six weeks. The bearings were reported as damaged beyond use due to heavy contamination and creep damage to the bore, while the roller had to be replaced due to an undersized shaft diameter at the bearing fitting surface (from wear damage caused by creep). Every failure would require a significant number of man hours to perform the replacement, and bring about substantial machine downtime and costly production losses. In contrast, the introduction of NSK Self-Lube Triple-Lip Sealed Units has produced zero failures over a 12-month period. These bearing units feature a nitrile rubber triple lip that is bonded to a protective pressed-steel shield. 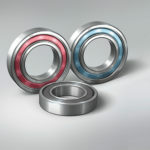 As a result, longer bearing life is achieved through superior seal performance. Additionally, the bearing units provide extended re-lubrication intervals, which in turn greatly reduces maintenance costs and increases the productivity of machinery and equipment. 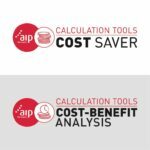 In total, the annual savings at the tortilla wrap manufacturer have been calculated at €54,665. 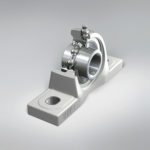 Self-Lube Triple-Lip Sealed Units offer simple implementation and represent a ready replacement for existing bearing units. They are available for both set-screw and eccentric locking collar insert options, in metric and imperial bore sizes. Importantly for the application at the tortilla wrap manufacturer, the selection of eccentric locking collars successfully reduced insert loosening in service, without damaging the shaft.